Everyday we get to share the beauty and wonder of our “Isle of Spice” with visitors from all over the world; and we love it! We take your vacation personally and our main goal is to inspire, entertain and give you an experience you will always remember. 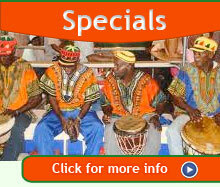 Mandoo Tours is locally owned and operated tour company with over 20 years of experience. 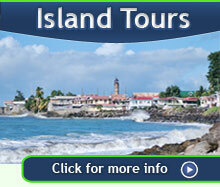 We pride ourselves on giving great, personalized island tours to both locals and visitors to Grenada. When visiting the Isle of Spice, you should make every effort to visit our wonderful Waterfalls & Rain Forest especially if you are interested in hiking and trekking. 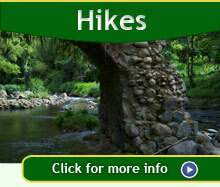 Most of our waterfalls are easily accessible, with a short hike. Have limited time or would like to have your own private tour? I can offer you a customized tour of our island with the sites or events you are interested in, such as the Fish Friday event or hiking to our waterfalls. 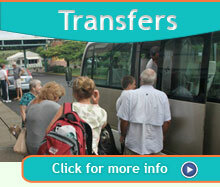 Need reliable and punctual service to get you to and from the airport? I also offer private and group airport and hotel transfers to ensure that you make the most of your time on the island with the least amount of worry.